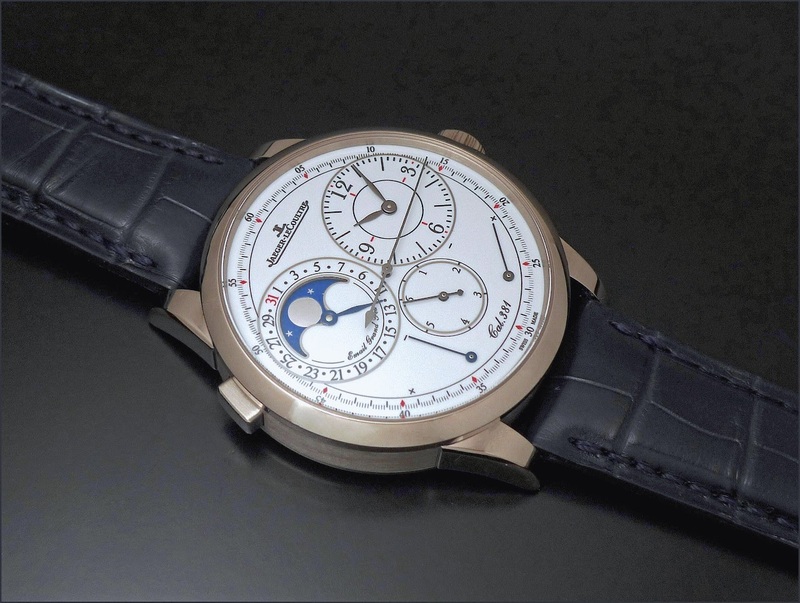 JLC - Just for the pleasure of the eyes: Jaeger Lecoultre Duomètre à Quantième Lunaire White Gold / Enamel Dial. Just for the pleasure of the eyes: Jaeger Lecoultre Duomètre à Quantième Lunaire White Gold / Enamel Dial. 40, 5 mm white gold case, Enamel dial=Winning Combination. Number 2 in my Duomètre wish list. But my Duomètre list is very high. In the meantime, I am just dreaming about that one. Past, present and the future... Which I hope is bright. I’m keen to get me some Duometres. Oh and this one is just beaut! I have a slightly different approach. I am torn between the white enamel dial and the black dial. Hmmm, difficult choice so I hope to see both side by side someday in the future to make a definitive decision. Both are very good choices, but the WG Enamel is a step above. For its enamel dial and its better finished moon phase, in my opinion. But the WG Black is a kind of King of Cool! maybe one day I will see Jim's QL enamel dial which could sway my choice. I have the same " problem ". The platinum convinces me so much and it is so different that I see myself owning both of them, easily. But first things first.